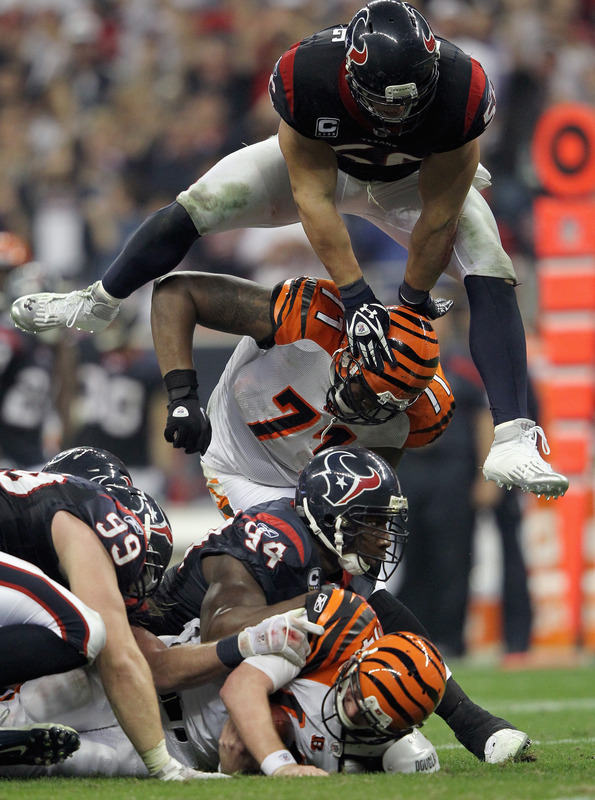 In the first game of the day the Houston Texans won their first playoff game in franchise history with a 31-10 victory over the Cincinnati Bengals. The Texans put their top defense on display as they picked off rookie quarterback Andy Dalton three times, one of which was returned for a touchdown by fellow rookie J.J. Watt. Arian Foster carried the load offensively for the Texans rushing for 153 yards and 2 touchdowns. Andre Johnson caught 5 balls for 90 yards and a touchdown. The Texans will visit the Baltimore Ravens in the divisional round next weekend. After trailing 14-10 at the half, Drew Brees and the Saints scored on every second half possession en route to 35 points in the second half. Drew Brees once again led the Saints offensive attack, completing 33 of 43 passes for 466 yards and 3 touchdowns. Marques Colston was Brees’ top target, recording 7 catches for 120 yards. Robert Meachem, Devery Henderson, and Jimmy Graham each had touchdown receptions. The New Orleans ground game was also successful as Darren Sproles rushed for 2 touchdowns while Pierre Thomas rushed for another. The young Detroit Lions put forth a good effort for three quarters and the Matthew Stafford to Calvin Johnson combination put up big numbers. Although he did throw 2 interceptions on poor throws, Stafford passed for 380 yards and 3 touchdowns. Calvin Johnson terrorized the Saints secondary for 12 catches, 211 yards and 2 touchdowns. The Saints will travel to San Francisco next weekend to take on the San Francisco 49ers on the divisional round.